The Duante Beddingfield is a nocturnal mammal found at watering holes throughout the Dayton region. Its diet consists of vodka and cheese, and it is noted for its hypnotic scent and brightly colored plumage, which it displays as part of courtship. It has two short, fixed fangs in the front of the mouth which channel venom into the prey like hypodermic needles. It can be easily irritated by pickles, death metal, and knock-knock jokes. 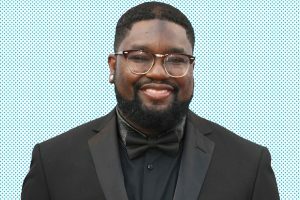 Los Angeles – Get Out star Lil Rel Howery, star of Fox’s upcoming Rel, slated to premiere this fall, shared a live Instagram account of being booted from a Popeyes Chicken location in Hollywood around 3 a.m. Saturday morning over a dispute following an order mistake made by Popeyes staff. Footage can be viewed at Howery’s Instagram page. Howery placed, according to footage, a $12 order, for which he displayed the receipt on camera. When the live feed began, the comedian was in a dispute with staff, saying his order was placed into another customer’s bag after a staff member assumed they were together. Howery asked for the food he paid for, and was refused. After he insisted, the staff told him to “come back tomorrow” to receive his order. He demanded his money back instead, and was told he was “trespassing” and ordered to leave. Howery remained in the restaurant and demanded a refund, while management threatened to call the police. “She told me to leave and come back tomorrow,” he yelled in outrage. The Instagram story video was viewed around the world as dawn broke on the East Coast. Howery finally agreed to leave when a young, black, female employee offered to pay him $12 from her pocket, concerned LAPD would be called in and escalate the situation. The comedian and actor declined her offer and left, citing fear of repercussions for the employee. Howery had words for the fast food chicken chain. He implied that the scenario might be portrayed in an episode of his sitcom this fall. Around 3:30 a.m. Pacific time, Howery returned to Instagram Story with more thoughts on the matter. Prior to his breakout role in Academy Award winning horror film Get Out, Howery starred as the younger brother of fellow comedian Jerrod Carmichael on NBC’s short lived The Carmichael Show. Carmichael serves as an executive producer of Rel, a multi-camera sitcom recently ordered to series by Fox. The Phone Booth Lounge is back in business! Last Friday, the neighborhood favorite Kettering bar, which closed in its old Stroop Rd. location January 20, reopened for business in its new home at 1912 E. Whipp Rd. The location was formerly home to Dog’s Breath Tavern, which shuttered at the end of January. After a successful opening week, owner Jack Wilderman sat down with us for a chat about the relaunch. DAYTON MOST METRO: What led you to choose this space? It was surprising that you were able to move the business and reopen less than a month after you closed the old space. JACK: We were very fortunate. [Wife and co-owner] Betty and I couldn’t come to an agreement with the people who owned the building on Stroop. We’d bought the business itself, and we wanted to buy the property, but it just didn’t work out and we didn’t want to keep paying rent when that money could be spent improving the bar. 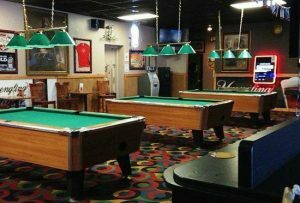 But we didn’t even have time to look at new locations, really – as soon as word got out that we were looking to buy a bar somewhere nearby, five different bars in the Kettering/Centerville area called us immediately and asked us to buy them out! I won’t give any names, but these were each large bars with long histories. (Laughs) Everybody’s trying to get out of the bar business but us! We came to a deal with Dog’s Breath, and worked out a deal that suited everybody, then got to work. DMM: For those who’ve not been yet, what changes has the new space brought? JACK: We’ve got a much bigger stage and dance floor. There’s really good room to dance here, and room for bands to fully set up. On the old stage, a lot of their sound equipment would have to sit on the floor and take up space there, but everyone should be able to get all their equipment onstage with them now, which gives even more dancing room. The bar here was not convenient; it was very difficult to move and work behind it, so we tore all that out and redid it, and now it’s a space where people can work without crowding and blocking each other. On Stroop, one of the things that drove me crazy was we only had room for three taps. I’m proud to say we’ve more than doubled that and we now have eight beers on tap, and room for more if we need more. So, along with the standard beers, we have Great Lakes, Goose Island, IPAs, and we have Warped Wing on tap now, too. We’re so happy about that. We’re not even close to being done [with renovations]. We wanted to accomplish so much more before we opened, and we’ll still be working on those things. When I announced our reopening, I didn’t realize how much time it would take for all the permits we needed to clear with the City. One thing is we’re going to gut the bathrooms and renovate those. We’re not happy with them at all. We cosmetically fixed them for the time being, but they’re still not to our standards. DMM: What about the kitchen? Any new menu plans? JACK: There are two phases ahead for the kitchen. Starting hopefully this weekend, we’ll have a limited menu available. That’s phase one. Burgers, wings, and appetizers. It won’t be open tonight, but we’re hoping tomorrow. got paused because we were in negotiations. You gotta change up your menu once in a while; people get tired of the same old things. DMM: And what traditions have you brought with you to the Whipp Rd. Location? JACK: The Phone Booth Lounge has always had live music and dancing on Friday and Saturday nights, and has never charged a cover. We stand by that, and it remains that way in the new bar. The rest of the schedule remains the same, as well: Sunday euchre tournaments, the Monday night Wii bowling that usually brings in between 12 and 16 people, trivia with Rob D’Agostino on Tuesdays, karaoke on Wednesdays. Also, for a good while, the Dayton Jazz Orchestra was playing here once a month when it was Dog’s Breath. They’re big band-type jazz, and they had a huge following here when it was Dog’s Breath. I came to their last show here before Dog’s Breath closed, and the place was packed. That’s been very popular, so we’d like to continue giving them a home one Thursday a month like before. We’re seeing if we can work that out. If people want to come out and support music of any sort, and the band can fill our bar, then we’re happy to talk with them, and the Dayton Jazz Orchestra is a class act that performed very well for the previous owners in this space. The most important thing in this business is finding something that works and staying consistent with it. Even if two or three years go by, people want to know that if they come back to The Phone Booth on a Tuesday night, they can still do trivia. If they grew up here and live somewhere else now and come back to visit on a Friday night, we want them to know that they can still come in and hear a good band and do some dancing. We say we’re open until 2:30 a.m. every night, and we mean it. There are a lot of places that don’t stick by their hours. If we say we’re there, we’re gonna be there for our customers. DMM: You said earlier that everybody’s trying to sell their bars and get out of the business except you and Betty. Why is that? What keeps you in the game? JACK: It’s the people we’ve met. Our customers. 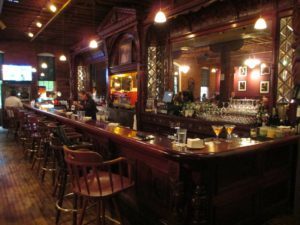 We have met so many great people in our bar. They give us the drive to continue with this. It’s not the money. It’s not a lot of money; we’re never gonna get rich doing this. And it’s an exhausting job; Betty and I haven’t had a vacation in five years – the whole time we’ve owned the place – and we’re kind of starting over again now. The customers, thankfully, are all coming with us, but as far as moving into a space and making it home and getting it where we want it again, we’re starting all over. It’s the people we see every day. And we’re too young to retire. What are we gonna do, go get nine-to-fives somewhere? I served 25 years in the Air Force. I met Betty when I was retiring, and we decided we wanted to work for ourselves. Her father was in the bar business for many years. He’d never owned a bar, but he’d worked in them for a long time, and he guided us in what to do. We’d never run a bar before The Phone Booth, but it’s been something really special for us. And the clientele has even expanded, which we really enjoy. We’ve got young kids who are regulars, we have 40- and 50-year-olds, we have people in their 70s, so we’ve gotten a really broad crowd of interests. Everybody knows everybody here. The Phone Booth Lounge has to be one of the oldest bar establishments in Kettering. It opened in ’64 at that location on Stroop, and it stayed there until last month. It’s like Kettering’s Cheers. When we bought the business of The Phone Booth Lounge, we made very sure we also bought the rights to the name. February 23, and The Elderly Brothers on Saturday, February 24. The bar can be reached at 937-979- 1497. Dayton-area wine lovers know that the region has no shortage of tasting events throughout the year (or during any given week! ), but one of the newest is poised to distinguish itself as the best setting for singles to meet new people who share a common interest. 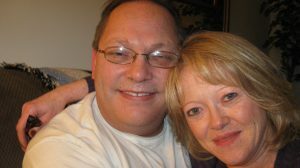 Planned2Give will host its quarterly Grapes of Gratitude event Thursday, May 25, at the Normandy Banquet Center (507 Miamisburg-Centerville Rd., Washington Twp. ), from 6 – 8 pm. The team-based, comepetitive wine tasting focuses on a different varietal each time; the winter installment featured merlot, while this week’s spring outing is timed to coincide with National Chardonnay Day. 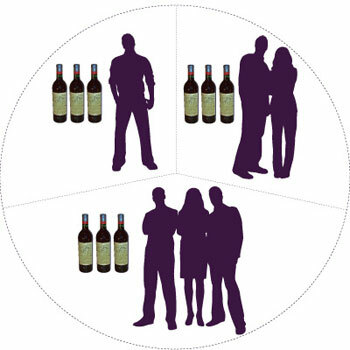 The casual, after-work event works by the “rule of three,” which requires teams of one to three participants to each bring three bottles of the same varietal. (For instance, three bottles of 2005 Lindemans Bin 65 chardonnay). For each team, two of the three bottles are bagged to hide the label, tagged, and then poured for tasting and ranking by each contestant during the course of the evening. Each team’s third bottle is set aside, unopened. At the end, the unopened third bottles are divided and taken home by the teams that brought the five highest ranking wines–except for the lowest ranked wine, which is returned to the team that brought it. Worried about bringing the same wine as another team? Not a problem. Year, batch, temperature, length of time since the bottle was opened, and other factors can all affect the flavor and bring different rankings. The “three for three” format used here is gaining popularity around the country among wine enthusiasts and novices alike, including Cincinnati’s Bacchanalia Society events. One of the goals of the event is to change perceptions and challenge biases people might have toward certain varietals. Teams can contain no more than three participants, so a group of four will be considered two teams, and must bring six bottles of the featured varietal to gain entry. However, said Grigsby, people needn’t worry if they plan to come alone. Each Grapes event benefits a different local charity, and May’s proceeds will go to Wagtown, a new organization working toward the goal of making every city dog-friendly in the interest of creating stronger, more vibrant communities that attract people, spur economic growth, and foster loyalty. Snacks will be on hand at the event, including pizza from Mack’s Tavern and chardonnay-infused sweets. The first half-hour of the evening encourages socializing and sampling the foods offered while event staff log and bag the various wines and register arriving guests. The early part of the evening will also include information about Wagtown, as well as presentation to Bogg Industries of the funds raised at the winter installment. Tickets for participation in Grapes of Gratitude are $10 in advance and $15 at the door; advance tickets (with online handling fee) are available for purchase at https://www.eventbrite.com/e/may-grapes-of-gratitude-tickets-34094527650 or you can pick them up at the nearby Arrow Wine store on 725, while you’re grabbing your 3 bottles of Chardonnay. Tonight, February 21, you have one more chance to catch the Dayton Philharmonic Orchestra’s Music of the Mad Men Era concert–and by ordering online with promo code DMM, you’ll receive 50% off your tickets! Fans of AMC’s swank, swinging masterpiece set in the boardrooms and bedrooms of 1960s New York will love this weekend’s offering, the fourth concert in the 2015-2016 Kettering Health Network SuperPops Series, featuring 1950s and ’60s pop and jazz hits like “Fly Me to the Moon,” “Feeling Good,” “Moondance,” “Sway,” and of course, the Mad Men theme. From Tom Jones and Nancy Sinatra to Mancini, Bacharach, and Esquivel, prepare to be immersed in the rapturous sounds of a bygone time. This concert is a triumphant homecoming for guest conductor Stephen Reinke, currently serving as music director and conductor of the New York Pops at Carnegie Hall, Principal Pops Conductor of the National Symphony Orchestra at the John F. Kennedy Center for the Performing Arts, and Principal Pops Conductor of the Toronto Symphony Orchestra. Reinke, a Tipp City native, is also a graduate of Miami University of Ohio and the Dayton Philharmonic Youth Orchestra. Reineke and the DPO are joined by accomplished guest vocalists Janet Dacal and Ryan Silverman. Both seasoned Broadway performers as well as recording artists, Dacal has starred in In the Heights and recorded with many chart-topping singers, and Silverman is currently starring as Billy Flynn in the Broadway production of Chicago. Tickets for Music of the Mad Men Era range from $27 to $78 and are available at Ticket Center Stage (937) 228-3630 or online at www.daytonperformingarts.org. Senior, teacher and student discounts are available at the box office. And, don’t forget, with your Dayton Most Metro discount code DMM, you’ll receive 50% off! 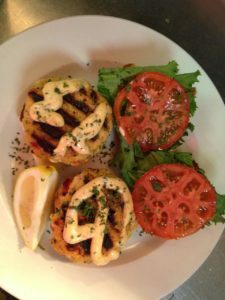 Happy Hour Sliders at Jay’s Seafood A Hit! One of Dayton’s best deals is also one of its best kept secrets: happy hour at Jay’s Seafood on Sixth Street in the Oregon District. Introduced over the summer to entice more early evening guests, happy hour runs Monday through Friday from 5 – 6:30pm and features $4 domestic craft beers, $3 domestics, $4 house wines, $4 well drinks, $6 martinis, and 25% off all appetizers. But the real gems of this new program are the sliders, small burger sandwiches served two at a time. “Small” is relative, though — together, any two of the sliders equal to more than a normal-sized burger. I went in on an empty stomach and couldn’t finish the second slider on my plate. There are three kinds: kobe beef with white cheddar is the most popular, and tuna and salmon are available as well. 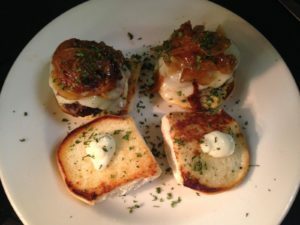 An order of sliders is just $5, or for $8 you can get a sampler plate with one of all three varieties. This historic bar dates back to the 1870’s, when it was Ritty’s Pony House. For more information about Jay’s Seafood or to make reservations call 937-222-2892. Saturday is SMAG’s Spring Fling! 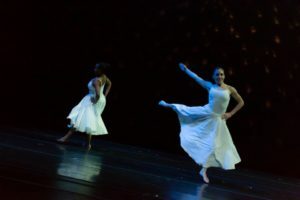 Contemporary dance lovers should make their way to the Dayton Playhouse (1301 E. Siebenthaler Ave., Dayton) this Saturday, May 23, for SMAG Dance Collective’s annual Spring Fling performance at 4 and 8 p.m. 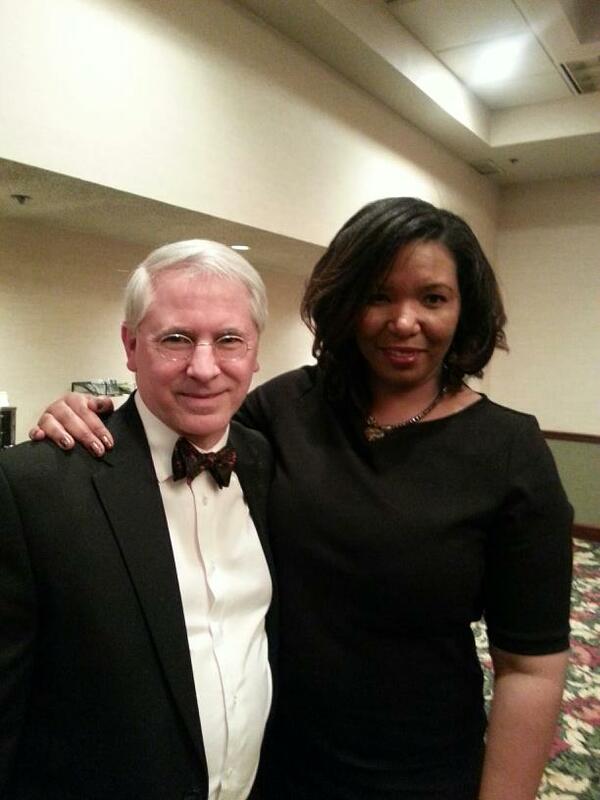 Artistic director Michael Groomes founded the nonprofit troupe in 2003 to fill a void in Dayton’s artistic community. So Groomes made a promise to his children. To that end, SMAG is an acronym culled from the names of Groomes’ sons, Sean-Michael and Gavyn. One of SMAG’s defining aspects has been unexpected artistic partnerships. 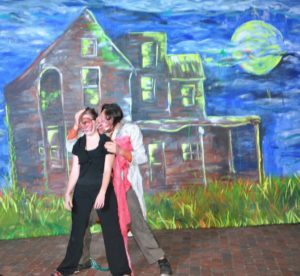 Fueled by Groomes’ restless drive to constantly turn audiences’ concept of “art” on its head to create new ideas, SMAG has combined in the past with visual artists, fashion designers, live musicians improvising new works, and more. Expect more of these creative fusions as SMAG looks ahead to its 12th season. Internationally acclaimed painter Mike Elsass, a Dayton native who remains based here, has joined forces with SMAG in past years to create live works of visual art–at a previous Spring Fling show, dancers writhed and swayed across a giant canvas spread out on the stage floor as Mike wove among them painting both bodies and canvas. Groomes says Elsass will return to the fold next season for a new venture. Additionally, fall will see a new edition of SMAGmare, the collective’s yearly Halloween-themed performance typically held outdoors in the Oregon Historic District. SMAGmare began as a pop-up event to engage arts tourists wandering Fifth Street during October First Friday festivities, and was so successful that it’s become an anticipated annual feature. Going further in the spirit of multi-discipline collaboration, this year’s performance will pull in a local theatre group. Outreach efforts like these have resulted in an incredibly diverse following for the group; SMAG performances routinely draw some of the most diversified audiences in the Dayton arts scene. SMAG’s Spring Fling show will serve as a platform for new works from both emerging and accomplished choreographers, including Groomes, whose entry is a civil rights-influenced piece. The concert also features diverse and challenging works by SMAG associate ­artistic director Taiesha Green, Renee MeClendon of the McClendon Institute, Shonna Hickman-Matlock of DCDC, and Jordan Daughterty of DCDC2. Tickets for SMAG’s Spring Fling can be purchased at the door, or at http://www.brownpapertickets.com/event/754467; prices are $10 for students and seniors, $15 general admission, and $25 VIP seating. VIP ticket holders will also receive a gift upon entry. Dancers interested in auditioning for SMAG’s upcoming season, or community artists interested in working with the troupe can call Michael Groomes at 937-329-6948, or email [email protected]. And yet, on December 4, 1956, at Sun Records in Memphis, it happened, and they jammed on record together for the first and only time. Perkins, riding the success of “Blue Suede Shoes,” was in with his band to cut some new material. Cash, a fellow Sun artist and a fan of Perkins, dropped by to listen. Sun’s owner, Sam Philips (“The Father of Rock and Roll”), added Lewis to Perkins’ session in search of a more rockabilly sound. Presley, with a girlfriend in tow, stopped by to say hello. And then, magic happened. Before they were famous, it wasn’t unusual for several of these guys to play together at rent parties, in after-hours joints—but this was the only time any such summit was preserved for history. Million Dollar Quartet, the 2010 Broadway musical that dramatizes this meeting, will rock the Benjamin and Marian Schuster Performing Arts Center starting tonight and running June 17 – 22 as part of Victoria Theatre Association’s Premier Health Broadway Series. A litany of classic hits including “Hound Dog,” “I Walk the Line,” “Great Balls of Fire,” “Folsom Prison Blues,” “Fever,” and many more are performed with electric gusto by an unbelievably talented cast of actor/musicians playing their own instruments. The tour cast includes H. Bradley Waters as Carl Perkins, John Countryman as Jerry Lee Lewis (a role that won Levi Kreis a Tony Award), Scott Moreau as Johnny Cash, and Tyler K. Hunter as Elvis Presley. Hunter, a country singer who began doing Elvis tribute shows in his youth, has been part of the M$Q tour for a year and a half. When the show premiered on Broadway in 2010, New York Magazine called it “a dazzling raucous spectacle that sounds like a million bucks,” but Hunter downplays that, painting a down-home portrait of four scrappy young fellas as regular joes on the cusp of igniting the world. He uses that approach to inform his portrayal of Elvis, going for an evocation as opposed to an impersonation. Hunter, who does not resemble Elvis offstage, pulls a transformation onstage and presents a stunning take that evokes The King’s presence. In Million Dollar Quartet, Hunter-as-Elvis performs songs like “Long Tall Sally” and “Peace in the Valley,” but Hunter dreams of singing his own material someday. But for now, he knows, The King still reigns. 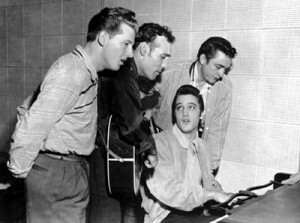 Talented musicians jamming together—that’s what Million Dollar Quartet is all about. Within a two-week span this summer, Dayton became a Fair Trade City and a Fair Trade Town. Many are still unaware of this, as well as what it means to individual citizens, the region, and the world. Fair trade promotes methods of commerce that eliminate slave labor and unfair working conditions to provide a fair living for the people behind the products we buy. London Coe, owner of fair trade store Peace on Fifth (508 E. Fifth St., Dayton) has made this her passion. “Chocolate is the easiest example to explain why fair trade exists,” she said. “There are six companies that control 56% of all the chocolate production in the world. Hershey’s is the smallest of those with 6%, Mars is the largest with 14.6%. Chocolate is actually very expensive. It’s a huge international industry, traded on floors in New York and London, and is one of the world’s most demanded commodities along with things like corn, soybeans, orange juice concentrate, and cotton. This allows one pound of chocolate to make exponential amounts of candy bars that can then be sold for cheap. Even more money is saved because the chocolate is harvested using slave labor. “Chocolate is harvested,” said Coe, “by children who are kidnapped as early as age seven. They have no access to school or play or safety precautions and spend all day harvesting cacao pods with machetes and being sprayed with pesticides. Remember when you were in seventh grade and your arms and legs got longer, and your hands and feet got bigger, and it made you awkward? And you ran into things and hit yourself with things? That happens to these children, except they’re holding machetes. 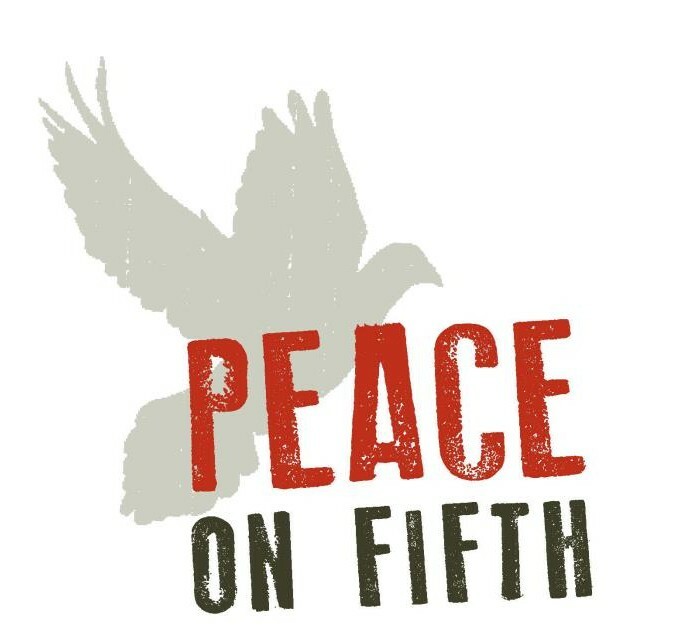 Peace on Fifth, which celebrates its second anniversary on November 25, sells only fair trade items, including chocolate which can be traced all the way back to the farms where the cacao originated. For each dollar spent on a fair trade product, roughly 50 cents goes back to the producer (farmer, artisan, etc.). 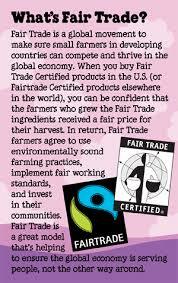 If the producer has an official fair trade label through a certification board, a percentage goes there. Money goes toward stabilizing the producer’s community, often in a third world country, and promotes education in these remote areas, which people within the communities then use to fight against human trafficking to eradicate slave labor. An exemplary leader on this principle is popular ice cream maker Ben & Jerry’s, which earlier this year became the first fair trade company in the U.S., using cocoa, vanilla, sugar, coffee, and bananas (for the Chunky Monkey fans) from certified farms. The dessert purveyor even hosted a fair trade music festival in Boston this August. Just a few weeks before that festival, Dayton threw its hat into the fair trade ring officially. On July 31, the City of Dayton declared itself a Fair Trade City, an informal resolution meaning the city will look closely in future purchasing decisions to ensure support for safe practices and sustainable and eco-friendly means of production. On August 9, international organization Fair Trade Towns USA certified Dayton a Fair Trade Town, joining Dayton with cities across the globe that stand together to fight for a world with better work environments, better wages, and a cleaner environment. Cancel your plans for this Saturday night. You’re spending it in Puerto Rico. If you’re not Hispanic, you probably haven’t yet heard about one of the unsung gems of the Dayton dining scene…but your time, and your passport, have arrived. Tucked away in the corner of a tiny, unassuming strip mall in East Dayton lies a Caribbean culinary oasis: Antojitos Criollos. Spanish for “little country cravings,” this down-home island eatery at 3937 Linden Avenue, directly across from Eastown, slings Puerto Rican food so authentic that even citizens who’ve emigrated from the island say it’s the kind of food you can’t find anywhere else on U.S. soil. And this Saturday, August 24, Antojitos will host its monthly, reservation-only all-you-can-eat buffet, complete with live salsa music. That was 2009. Matias did studies in each of Ohio’s major cities, starting with Cleveland – but Cleveland bore tremendous competition in the same style of food. Other cities, like Columbus and Cincinnati, proved too costly. But the family’s food had been a hit at Dayton’s Hispanic Heritage Festival, and Dayton boasted a widespread and passionate food culture, but while Italian and Mexican and Asian and Indian restaurants seemed to flourish at every turn, Dayton still had plenty of market room when it came to island cuisine. And so Matias learned of the small Linden Ave. storefront. It had not housed an operating business for several months; previously serving Vietnamese cuisine, it was to become a Mexican restaurant, but an immigration issue cut through and sent the staff packing, never to be heard from again. The Mexican restaurant never opened, and Matias found an opportunity. In its short time in the Gem City, Antojitos Criollos has won awards from all over the state of Ohio, and it’s easy to see why: Matias and his crew serve up recipes his wife, Iris Gonzalez, brought with her from the island. The restaurant features the kind of savory meals that feel like someone’s grandmother is in the kitchen cooking just for her family, and you somehow got lucky enough to receive an invite. A quick glance over the menu will calm the unadventurous while thrilling with its casual twists on the unknown: beans and white rice, flank steak and onions, fried pork chops, sautéed chicken in tomato sauce… While eating at Antojitos, a mind-blowing truth emerges in the most unexpected of moments. You’re eating pure comfort food that seems to warm you to your very soul, and it seems in so many ways like things you’ve eaten a million times going all the way back to your childhood. You look down at your plate in wonder and think, ‘Huh. Somewhere in San Juan, a family is sitting down right now to this same dish’ – but you’re also thinking about when you sat down to a decidedly similar dish with your own family, so many years ago. Everything around you slips away, and you realize that while colors and cultures and languages may vary from one region to the next, when you get right down to it, we really aren’t all that different. The third Saturday of every month (do yourself a favor and be mindful of that – August is the third month in 2013 to span five Saturdays, and it is always the fourth, as opposed to the last), Antojitos hosts a special buffet dinner. For a flat rate of $20 ($10 for children 12 and under), an all-you-can-eat spread is set up with a massive, multi-option spread of the best the establishment has to offer. The offerings change each month — and when one dish empties, it is not refilled, but replaced with something new. 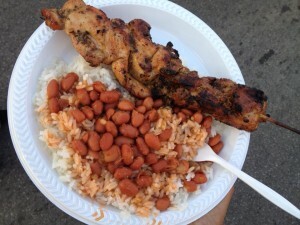 Mainstays, however, are the stellar rice and beans and their herb-rubbed, roasted pork, which also carries a hint of citrus and is simply one of the greatest dining delights in the Miami Valley region. This weekend’s buffet will also include, among many other things, Greek rice, made in beef broth with bacon and cabbage. Vegetarians, fear not; there is plenty to be had for those who don’t eat meat. The meal is not the only thing, however, that makes buffet nights at Antojitos Crillojos special. The regular menu is not available, and eating on these nights is available only by reservation, for dishes are made to feed the amount of people expected. This makes it a private party, which means alcohol cannot be served … but it can be carried in, so this would be the occasion to bring that special bottle of wine you’ve been saving or that craft beer you waited for all season, or even your favorite bottle of rum. The most important thing to remember on buffet nights is that you are no longer on the mainland. The buffet opens at approximately 7 p.m., and the band starts at approximately 8 p.m. That can wiggle in one direction or the other as far as an hour or more. Relax, buddy: you’re on island time now. It’s Saturday night. You’ve got amazing, endless food in front of you. If you planned right, you’ve got a good drink in your hand. And at some point, you’ve got a night of free entertainment ahead. What’s your hurry? You’ve dropped twenty bucks, plus tip, for one of the best values and cultural experiences in the entire region. No one’s rushing the night – and neither should you. Joni Arnold agrees. A native of Puerto Rico, she learned about Antojitos from coworker Rea, who brought her to a buffet night last spring. 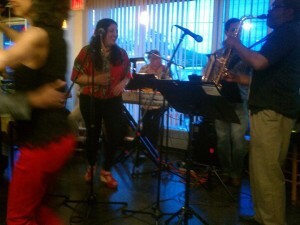 Gina Stough, lead singer of Son del Caribe, cherishes the monthly ritual. 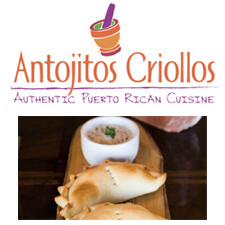 Antojitos Criollos is located at 3937 Linden Ave. in Dayton. Hours are 11 a.m. – 8 p.m. Monday – Friday, and 1 – 9 p.m. Saturday and Sunday. Buffets with live music from Son del Caribe are held the fourth Saturday of each month at 7 p.m., by reservation only; adults $20, children 12 and under $10. 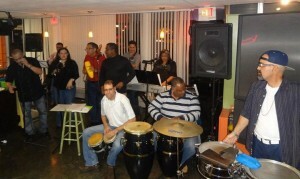 Music begins at approximately 8 p.m. For more information, call (937) 259-2207, or visit http://facebook.com/antojitos.criollosrest, and to view the full regular menu, visit http://antojitoscriollosrestaurant.net. For his translation assistance, Dayton Most Metro thanks Enrigue Romaguera. Director Lily Keber’s acclaimed new documentary film Bayou Maharajah: The Tragic Genius of James Booker, will be shown on Wednesday, September 18 at 7:30 p.m. at the Neon (130 E. Fifth St., Dayton). Keber will be on hand to introduce the film and lead a discussion about the movie following the screening. Admission is $10. Advance tickets are available at the Neon. James Booker, “The Piano Prince of New Orleans” who died 30 years ago this fall, was a mercurial figure in New Orleans, a prodigy who was leaving his mark on legendary R&B records while still in his teens. A spectacularly gifted pianist and vocalist whose style melded blues, jazz, soul, gospel and classical influences with New Orleans rhythms, his sound defied categorization. Booker taught players like Harry Connick, Jr., and Dr. John, who described Booker as “the best black, gay, one-eyed junkie piano genius New Orleans has ever produced.” As a sideman during his career, Booker played with the likes of Fats Domino, King Curtis, T-Bone Walker, Ringo Starr, Maria and Geoff Muldaur, Labelle, Joe Tex (including on his big hit “I Gotcha”), The Coasters, and the Doobie Brothers. His outrageous solo career was characterized by virtuoso performance, his bigger-than-life personality, and onstage performances in his underwear, dishing out drug-fueled conspiracy theories. The movie includes archival footage of Booker in performance plus reflections by fellow musicians, observers and collaborators from the Crescent City and beyond which include Harry Connick Jr., Dr. John, Allen Toussaint, Irma Thomas, Charles Neville, Hugh Laurie, Douglas Brinkley and many others. The film was introduced at the 2013 South By Southwest festival, where its final screening sold out, and has subsequently sold out screenings at the Film Society at Lincoln Center, Outfest and the Melbourne International Film Festival. For more information on the film, visit bayoumaharajah.com, and for more information on the Neon screening, visit neonmovies.com or call (937) 222-SHOW (7469).